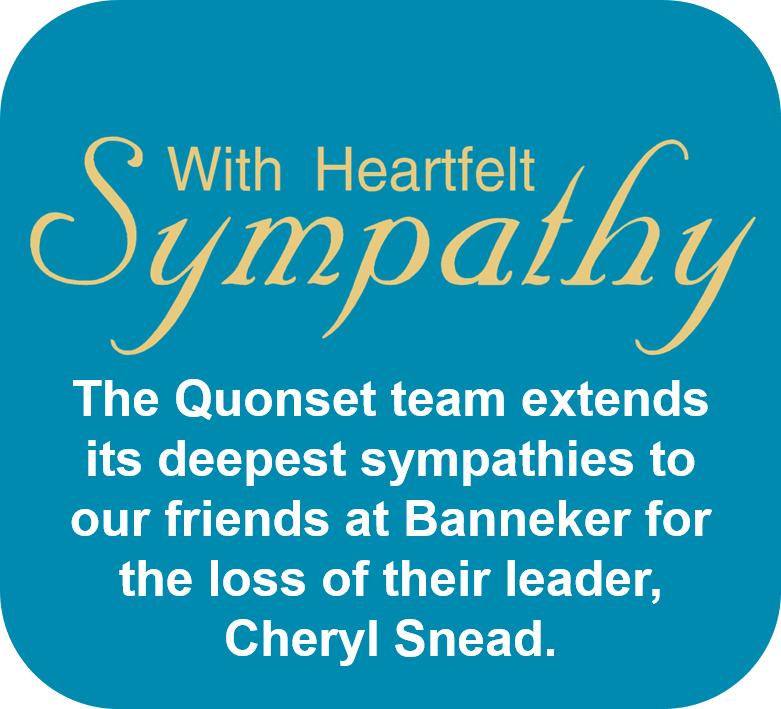 2017 was another banner year at Quonset. 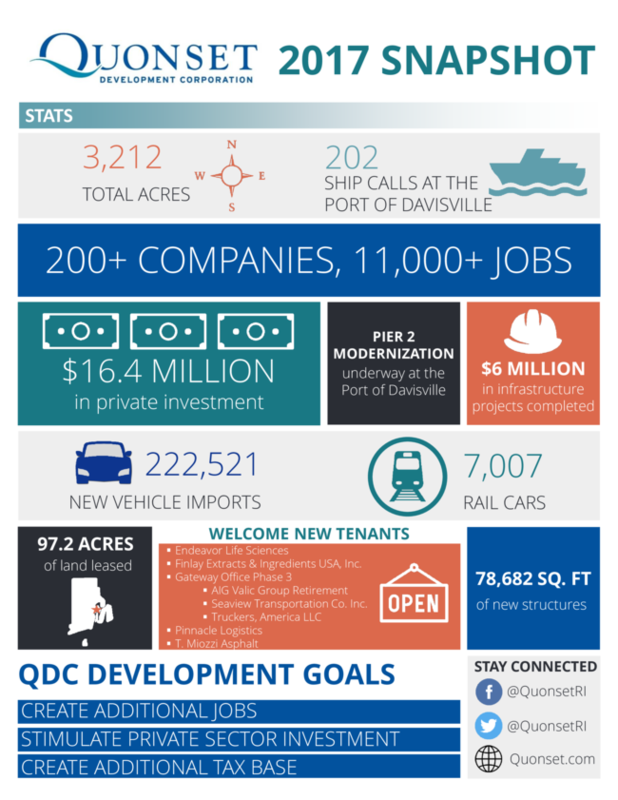 Learn more about the achievements above and what's on the horizon in the newly released 2017 Quonset Annual Report. Employees at Quonset businesses are saving money on their student loans through a new state initiative by Gov. Gina Raimondo. Wavemaker Fellows are STEM professionals selected to receive R.I. tax credits to reduce their student loan debt burden. 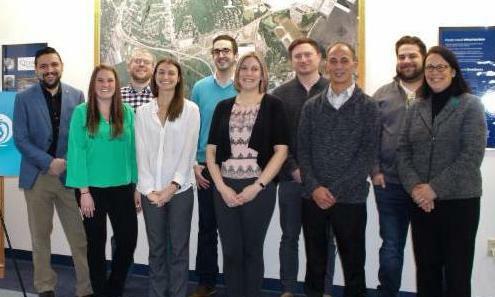 10 companies at Quonset currently employ Wavemaker Fellows (right). The group gathered at the Quonset Development Corporation (QDC) recently for an event and shared what the program means to them. Applications for the 2018 program will be accepted in April. To learn more about the program and see if you qualify visit the program website. Last month the M/V Dolfijngracht was in port at Quonset unloading special cargo from the U.S. Virgin Islands. After back-to-back hurricanes last year the Virgin Islands were in need of additional assistance. Various groups from throughout New England stepped up by sending utility vehicles to join in the effort to restore power and other services to the islands. After their work was done the vehicles were loaded onto the Dolfijngracht to return home to New England. From bucket trucks to digger derricks, there were over 30 vehicles unloaded at Quonset. 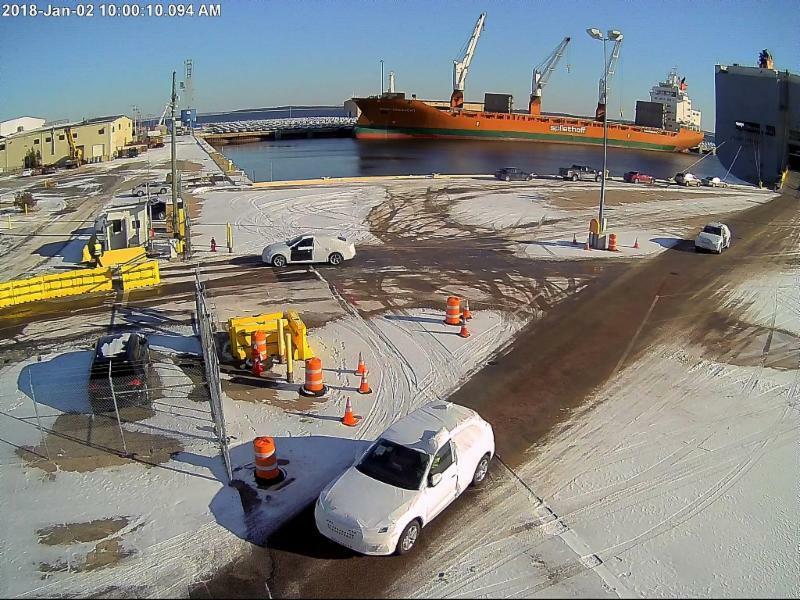 Poor weather doesn't stop the Port of Davisville or Quonset's auto processor, North Atlantic Distribution, Inc. (NORAD). In 2017 over 222,500 autos arrived by sea; the highest year on record. 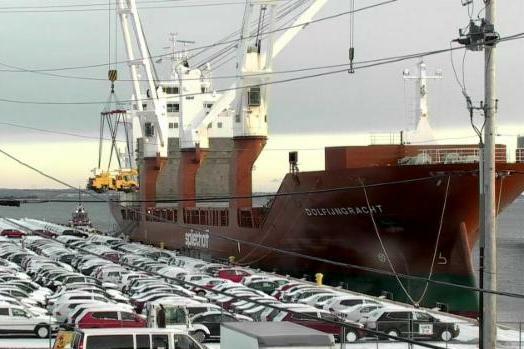 Over 41,700 autos arrived by rail and truck, bringing the total number of vehicles processed by NORAD to over 265,500. Quonset's Seaview Railroad was also an integral part of that success. Seaview broke its annual record for rail car volume with over 7,000 carloads transported at Quonset in 2017. Banneker Industries, one of the first third-party logistics, warehousing and supply chain management solutions providers at Quonset, is celebrating 10 years at the business park. Since opening, the company has invested over $1M in their Quonset facility using local Rhode Island suppliers. With 40,000 sq. ft. currently available, Banneker’s Quonset facility is equipped to store large, oversized items with its high bay ceilings, thick walls, and 24' x 18' dock doors. Their temperature-controlled facility provides high-end customers climate controlled storage. 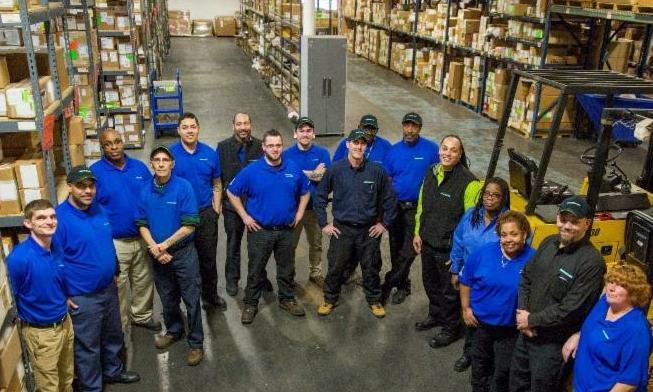 "Secure warehousing space ensures peace of mind while a product is in Banneker’s care," said Junior Jabbie, President and Executive Manager, Corporate Operations at Banneker. Banneker’s core capabilities combined with a focus on solving problems, have contributed to much of their success over the past 10 years.